TuneIn has become a powerhouse in streaming music, helping 30 million of users connect to local radio content via its TuneIn Radio mobile apps. The Palo Alto, CA company is now ramping up efforts to bring its service to a very logical place: cars. TuneIn announced Tuesday that it is being integrated into Ford’s Sync AppLink platform (s f), which enables users of Ford Sync-enabled vehicles to control apps using voice controls. Users will be able to access TuneIn Radio’s more than 50,000 FM, AM, HD and Internet radio stations, and will be able to conduct voice searches for artists or genres or explore top stations using their location information. The news follows an announcement last week that TuneIn was launching a “car mode” for its Android (s goog) app, allowing users to use voice commands to conduct searches and find music. TuneIn is already in use on more than 150 devices such as the Logitech Squeezebox (s logi) and Sonos’ line of connected speaker. And it’s been integrated into certain BMW and Mini vehicles, but that service was white labeled. Now, the company expects to announce a lot more branded deals with auto companies this year and beyond as it tries to conquer the in-car experience, something Internet radio leader Pandora (s p) has got a big head start on. John Donham, CEO of TuneIn, told me about 100,000 TuneIn Radio users utilize the service through in-car solutions, though many more probably connect to the serivce with in-car Bluetooth. But he said he believes there’s a great opportunity to expand TuneIn’s presence, because about half of radio listening is done in-car. He said TuneIn’s ability to find relevant music and content for users is a big step up over existing radio, which is still one of the most popular ways for people to discover new music. “There is tons of compelling content on the radio all the time but there hasn’t been a spectacular interface for finding it. We see that as a huge opportunity,” Donham said. 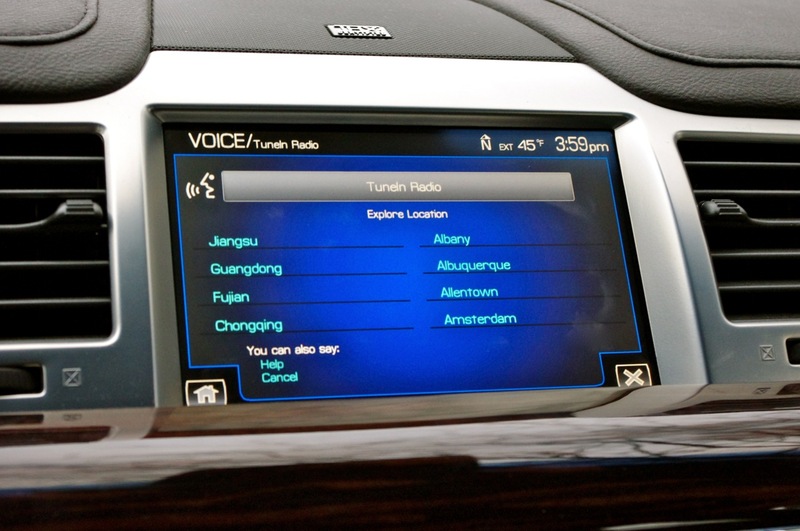 Donham said future deployments of TuneIn in vehicles will be able to integrate with a car’s FM chip to provide local stations, and then seamlessly switch over to streaming radio when a car travels beyond FM broadcasting range. That’s important as users face more data caps that can put a crunch on streaming services. Donham said despite the belief that 8-tracks, taps and CDs would kill radio, nothing has. And apps like TuneIn Radio show the enduring popularity of the medium. An impressive share! I have just forwarded this onto a colleague who had been conducting a little homework on this. And he actually ordered me dinner simply because I found it for him… lol. So let me reword this…. Thanks for the meal!! But yeah, thanks for spending some time to talk about this topic here on your website. You guys are great, we link our listeners to your site to download your fantastic phone apps, keep it up . Best wishes from Affinity Radio (Maidstone).